Lenovo Thinkpad X200 With Windows 10 Pro - Can't Get Integrated Webcam To Work! I have a Lenovo Thinkpad X200 (Windows 7 version) which has been used sparingly (one careful lady owner) over the last few years and is in great nick. As I don't use it a lot, I only recently put Windows 10 Pro on - everything runs fine (I bunged a Crucial 240GB SSD in a few years ago to speed things up). 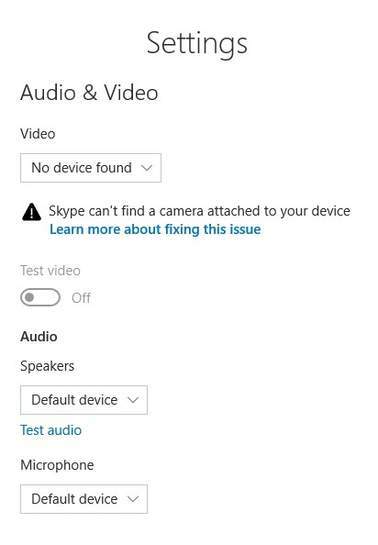 My problem is the integrated Webcam. It worked fine with previous versions of Windows (and shows in Device Manager) but won't work at all. Tried uninstalling it from Device Manager and rebooting - no luck. No joy finding any solutions on the Lenovo Forums - I'm guessing as it is an old machine (circa 2009) maybe Lenovo just stopped supporting it? Your webcam might of been down graded to an imaging device. What software Are You trying to use ? I think Microsoft have been dropping support for low res cameras. I had a similar issue with my PS3 eye. are all installed. Then it shows up on Skype as an option. May help anyone else, as I can't seem to get the Lenovo Update software to work, you have to install the Lenovo programs manually (unless anyone knows better)! It's not the greatest camera, but good in a pinch. Just another FYI for any ye olde X200 users who have upgraded to Windows 10 (yes, I was late to the party so this is probably old news)..I found I couldn't get the Mute Hotkey to work with the newest version of the Hotkey software. According to this Reddit thread reddit.com/r/t…on/ the older version, 3.81 (scroll down) support.lenovo.com/in/…261 of the Thinkpad Hotkey Features Integration tool brings the Mute button back to life. Everything is now working as it should - it even brings back the older Thinkpad onscreen graphics when I use certain Hotkeys (which I was fond of)! Seems this solution may apply to other older Thinkpads like the T61 and T400?